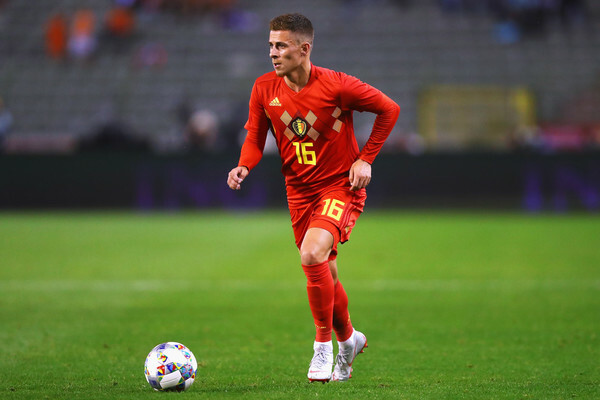 Chelsea leading race to sign Borussia Mönchengladbach forward Thorgan Hazard and preparing to make an offer during the summer transfer window. London club need a new creative winger to improve the attack and Belgium international is the best option in this situation. He has an impressive campaign and paid big clubs attention. Italian manager set to pay big money for the footballer during this summer. Liverpool and Arsenal also interested to sign him and there will be a real battle for the player. His price could increase and become much more. Hazard joined the German from the Blues in 2015 with the €8m deal. He is one of the best attackers in Bundesliga and unchanged figure for the club. In this season, Thorgan already played 22 games, scored 12 goals and made 9 assists in all competition. This is an amazing result and he can improve his consequences with high-class teammates. The 25-year-old forward is contracted with the Foals until 2020 and his release clause is around €40m. He is a regular member of the national team and helped them to finish the 2018 World Cup in a third place which is already a big achievement for the footballer. London club will do everything to add him during the summer transfer window as Willian and Eden Hazard heavily linked with several big clubs and their replacement is necessary. Chelsea signed several footballers last summer like Jorginho from Napoli, Mateo Kovacic from Real Madrid and Kepa Arizzabalaga from Athletic Bilbao. Blues also added Gonzalo Higuain from Juventus with a loan deal.